OK I am late with the news but Accu-Chek buys the Solo MicroPump. Reports are the Hope to have product to market by '12. Word that Medingo had a buyer had been floating around for a while and yesterday Roche was publicized as the buyer. The news was all over the internet yet somehow Mr. Asleep at the switch here missed it. In my defense I was working an a utterly ridiculous guest bit for SixUntilMe. Anyway it, the Roche/Medingo news not the silly post, was on all over the place - Business Week, Amy writes about it at the Mine today and Friend of the Blog Bernard wrote up a nice little overview of the system last August. I think it is good news for Roche. Their Spirit pump isn't a widely used product here in the states. Europe get a snazzier version with a remote. They also get cooler Accu-Chek meters over there. Anyway It is nice to see more competition in the pump market in general and the pump patch sub set of the market specifically. Nice to see the Solo get some marketing muscle behind it. Good to see Roche making move to be in the game. 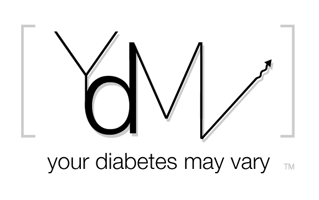 Most of all I am a big fan of more options for People with Diabetes, 'cause YDMV.